The pest control team at Europest are specialists in all aspects of pest control and rodent control in Swansea and the surrounding areas. 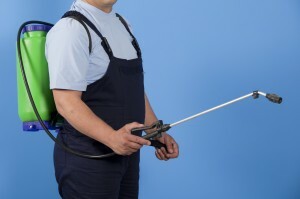 Our highly experienced pest control technicians provide a 24 hour. 7 days a week service. We are ready to act swiftly to deal with your pest control and rodent control problems. Every pest control solution that is implemented is seen through from start to finish. This is by our dedicated BPCA qualified technicians. Above all all our work that is carried out is completely guaranteed. Therefore, giving you complete piece of mind. Europest offer a wide range of pest control and rodent control services across Swansea and the rest of the UK. With work across the domestic and commercial sectors and have helped many customers in and around the Swansea area. Above all, a pest infestation at your home or business property can be extremely disruptive, damaging and worrying. Our safe and effective pest control methods have been tried and tested to deal with the problems that we encounter. 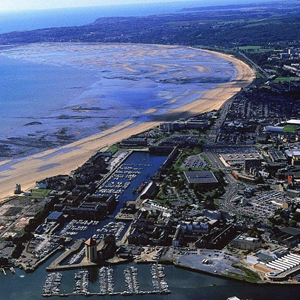 Over time we have built a superb reputation for providing specialist pest control services throughout Swansea. From domestic properties to large commercial units we handle jobs of all sizes and complexities. Our BPCA technicians are committed to ensuring that your pest infestation is dealt with discreetly and effectively. Similarly, we can offer one-off pest control solutions or help you with a long term service plan. Either way Europest are dedicated to quickly removing your problem and ensuring that you can enjoy a pest-free environment as soon as possible. Do you need pest control? Pest infestations can cause health problems, damage to your building and environment. Therefore, it may also potentially cause financial loss to your business. With any pest control problem we would advise you to act quickly so that you can minimise the problems and damage that might occur and call in a professional pest control team like Eurogroup to remove the problem for you. Europest BPCA technicians that are based local to your area and they always carry photo ID to ensure your safety and security. Our range of pest control products are all child, pet and environmentally friendly and our technicians will work closely with you to make sure that you understand every step of the pest control process. This will ensure you are completely comfortable with the approach being taken. We have helped many customers in the Swansea area with a broad range of pest and rodent control problems. If you are based in or near areas such as Port Talbot, Neath, Dunvant, Bishopston, Gorseinon, Clydach and Birchgrove and need assistance with a pest infestation problem then please get in touch. A friendly and helpful team of pest control technicians provide a professional pest control service at competitive prices. We have several satisfied customers across Swansea and the surrounding areas so if you need any help with your pest control or rodent control problems then please contact us on 02920 868961 and speak to one of our specialist team.